Homelessness and inadequate housing are reaching crisis proportions including in both emerging and developed economies. The urgency and outrage that should be provoked in response to the abhorrent conditions in which millions of people live seem to be absent. Many politicians, judges, and every day people are accustomed to ignoring, stigmatizing, excluding, and even criminalizing people for their poverty and lack of adequate housing. The question is: how did we get here? Housing has been treated more as a policy aspiration than as a fundamental right. At least part of the answer lies in the history of human rights law and the decision 50 years ago to separate the right to adequate housing and the right to life which were originally articulated in a single document: the Universal Declaration of Human Rights. Ever since the advent of the two human rights Covenants divorcing social, economic and cultural rights from civil and political rights, housing has been treated more as a policy aspiration than as a fundamental right; doing so severed it from core human rights values of dignity, security and the right to life that would demand timely rights-based responses and access to justice. I have been convinced by the artificiality of this separation in my interactions with those experiencing housing deprivation; they understand the deep connections between the right to life and the right to housing. They articulate their human rights claims not simply as a demand for housing with basic services and secure tenure, but also more fundamentally as a claim to equal recognition of their right to live in dignity and security. They report that they are not treated as humans and are called encroachers, vermin and criminals simply for attempting to survive. They experience being forgotten and neglected by governments as a sustained and systematic devaluing of their lives. The lived reality of inadequate housing and homelessness underscore this. An estimated one third of deaths worldwide are linked to poverty and inadequate housing. The death rate among homeless people can be up to ten times higher than for those who are not homeless. 100 million children are living in the streets worldwide, facing daily threats to life and security. 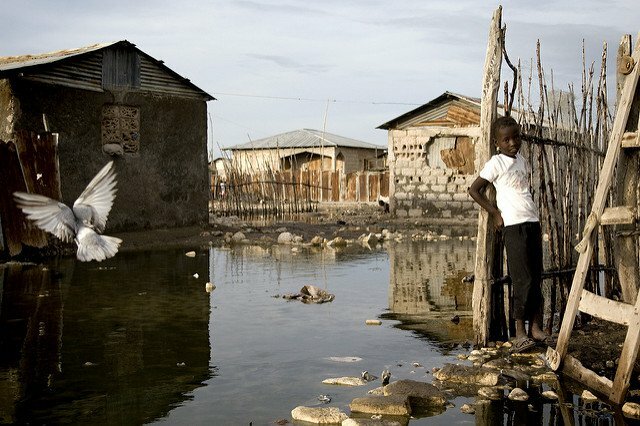 Lack of clean water and sanitation leads to illnesses that kill over 840,000 each year. 26.4 million people lose their homes through natural disasters every year—60% higher than it was four decades ago. And, as has been tragically demonstrated in Haiti, inadequate housing dramatically increases risks to life and inadequate post-disaster housing conditions increase vulnerability to the next disaster. In situations of conflict, homes and infrastructure have been increasingly targeted, at significant cost to life. The housing and financial crises worldwide have resulted in dramatic increases in evictions and foreclosures, irrevocably damaging family life and doubling the number of suicides linked to loss of housing in the United States of America. People with disabilities continue to be denied supports for independent living, forced to live in overcrowded institutions without social or family relations, frequently in isolation cells for long periods. Migrants flee life-threatening circumstances only to then confront the risks associated with homelessness in destination countries. Despite the obvious convergence of the right to life and the right to adequate housing, the separation of these core human rights has resulted in very different treatment in the face of very similar conditions. When deplorable living conditions are brought to light in the context of prisons and detention centres, there is little question that they be considered critical human rights violations demanding action. And yet, when similar or worse living conditions are raised with respect to in informal settlements caused by the failure of governments to take necessary actions, these are not addressed as human rights violations. Rather, they are relegated to policy discussions about infrastructure and sustainable development. This framework has produced illogical results in the adjudication of human rights. If a person is rendered homeless as a result of state action such as deportation or eviction, the UN Human Rights Committee, for example, has been willing to find a violation of human rights—the right to be free from cruel and inhuman treatment. However, where a person experiences the very same circumstances of homelessness, but this time caused by state neglect and inaction, the Committee has not found a violation of human rights. This unequal application results in the denial of substantive human rights claims advanced by those who are homeless, people with disabilities or women experiencing violence and others. They do not see the fulfilment of their human rights merely as freedom from poor treatment or punishment, but more fundamentally as a positive right to a place to live in dignity, security and inclusion. A refusal to hear, adjudicate and provide remedies for the category of claims to the right to life arising from systemic deprivations such as homelessness has an immense impact. It reinforces a negative rights practice that continues to deny access to justice for many of the most serious violations of the right to life in many jurisdictions. The UN Human Rights Committee is now drafting a new general comment (No. 36) on the right to life, providing an important opportunity to reaffirm a commitment to a more inclusive understanding of the right to life. But despite some promising changes in the language, the initial draft persists with a bifurcation of the right to life into two categories relegating long-term obligations to address homelessness and poverty to the category of unenforceable policy aspirations. The starting point for understanding the scope of the right to life should not be based in whether the cause of the deprivation is due to government action or inaction, rather it should be based in what rights holders are entitled to. The challenge before us is to move beyond the two categories of rights and to retrieve a more unified understanding which accords equal recognition to the lives of those living in homelessness and poverty and ensures access to justice and remedies for the most widespread and egregious violations of the right to life and the right to adequate housing. ***This is a summary of a full report on this issue that UN Special Rapporteur Leilani Farha presented to the UN General Assembly on 25 October, 2016.